Calla lily is also one of my favorite flowers. Calla lily originates from South Africa, and is utterly elegant with its simple form outlined in gracious curves. The smooth sweep of the petal-like spathe encloses the columnar stamens, capturing shadows and holding light in the most enticing ways. 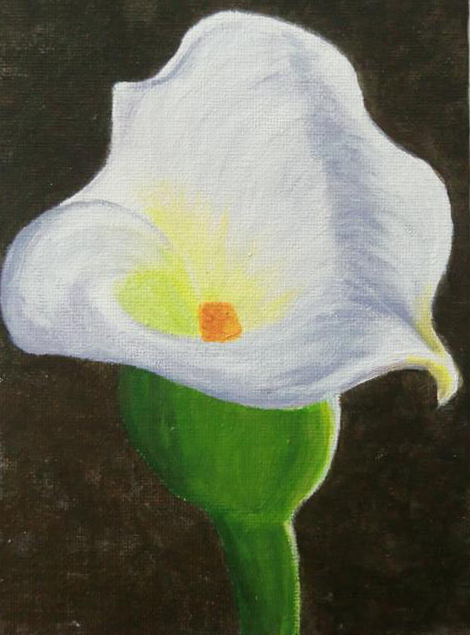 I spent more than 3 hours to paint this calla lily. 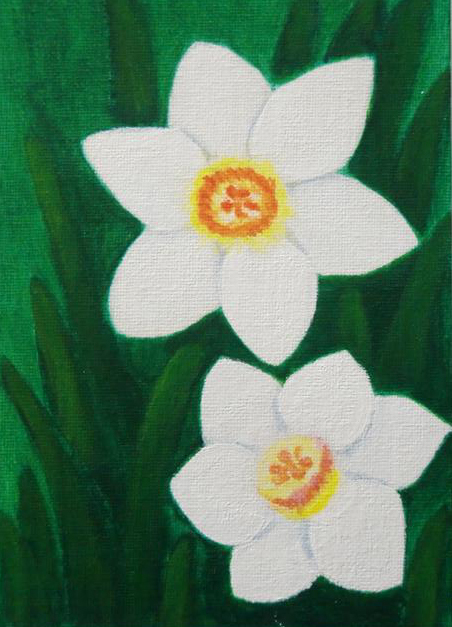 I found it’s hard to paint the smoothness of the petals and the way shadows follow the curving shape. Who doesn’t love rose? 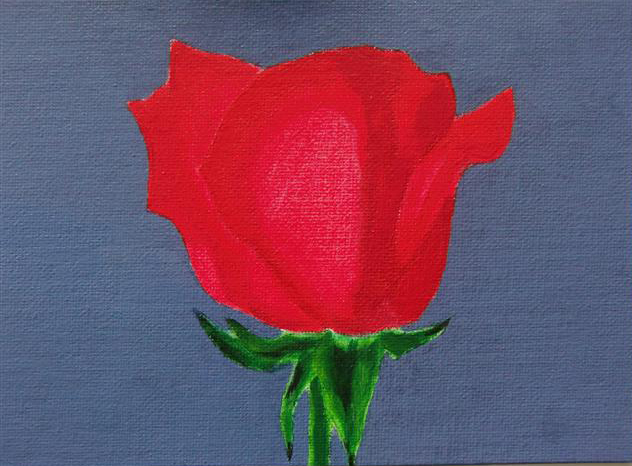 Roses have been on my painting list for a while. 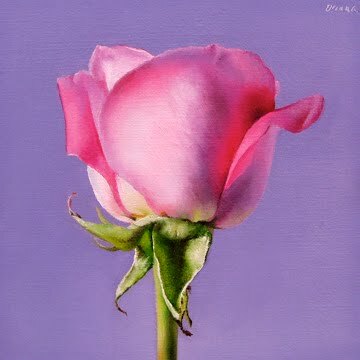 I think I will have rose series paintings in different colors, types, shapes, etc. 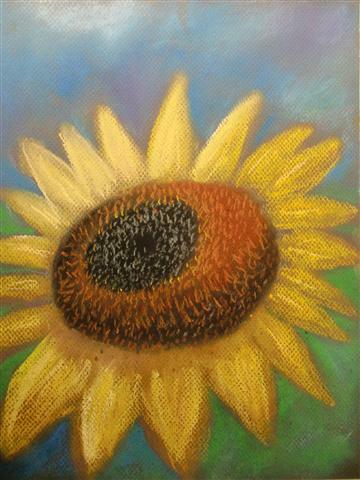 As a real beginner in painting, I look for inspirations from other people’s painting or photos. The painting below is the one I was referring to. However, I was not able to mimic the light and shadow. So far I’ve found the shadow coloring is the most challenging thing for me.